If your settlement has one party owing money to the other, or if real estate ownership is changed, or one party has a separate interest in real estate, you need these forms to put your terms into effect. 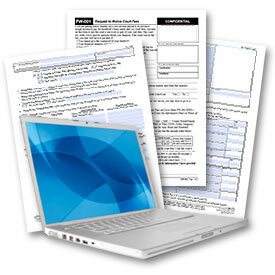 All forms are in PDF format. Buy now, download immediately. Instructions included. Written promise, stating the sum, interest and defined monthly payments, either interest only with balance due on stated date or a monthly amount that will fully pay both principal and interest over a set period of time. Transfers title to real estate to a trustee (perhaps person who is owed) to secure the payment of the note. When the note is paid, title is transferred back to the owner. If the note is not paid, the trustee can sell the property to pay the note. Request for Notice of Default is included. This is very important, as it requires the mortgage holder to let you know if the property that secures your note goes into default. This will give you time to step in. Both forms — Save 37%. The note form and the trust deed to secure it. For co-owners who are married or domestic partners, this conveys real estate from joint or community ownership to (a) sole ownership of one party, or (b) ownership by both parties as tenants in common, meaning you will each own your own share separately until the property is sold and the proceeds divided. As a tenant in common, you can will your share to an heir or sell it to someone else, which you can’t do as a joint or community property owner. Used to convey real estate to a 3rd party, or to change ownership from joint or community property ownership to separate ownership as tenants in common, meaning you will each own your own share separately until the property is sold and the proceeds divided. As a tenant in common, you can will your share to an heir or sell it to someone else, which you can’t do as a joint owner. Sworn statement that the deed is either (a) a transfer between spouses according to the terms of a settlement agreement or judgment, or (b) a transfer for which no compensation was received, and thus not subject to transfer tax. Both forms — Save 37%. The grant deed and the declaration of exemption. A quitclaim deed should always be used after a settlement agreement to confirm that there is no claim on the separate ownership of real estate by an ex-spouse or partner. In effect, it says that whatever may have happend when we were together, I have no claim of any kind on the named real estate. Both forms — Save 37%. The quitclaim deed and the declaration of exemption.